This advance preparation of input files for selected MDG indicators is designed to facilitate the user to start the application without having to perform the task of preparing input files from official data for these indicators for established targets. 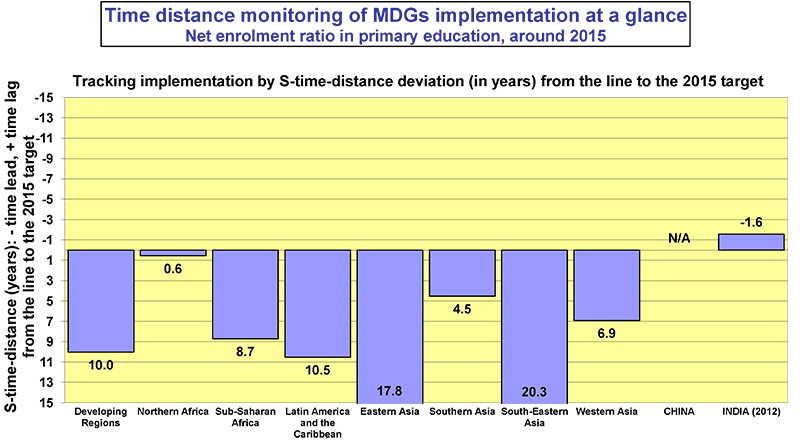 Data from UN, The MDG Report Statistical Annex 2012, New York. Data from UN, Millennium Development Goals Indicators database.